Justin joined the firm in 2006 following a clerkship with Judge G. Thomas Bowen in the Civil Division of Cumberland and Salem Counties. 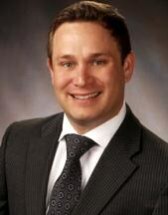 Justin has a diverse law practice with an emphasis on civil litigation. He assists individuals, families and small businesses in matters involving accidental injuries, business disputes, contracts and consumer fraud. Justin also represents both management and employees in employment matters, such as discrimination claims and disciplinary actions. Additionally, Justin has significant experience in defending claims and lawsuits against local insurance companies and their policy holders. Finally, Justin has an active general practice, advising and representing clients in various areas of the law including landlord-tenant, collections, and construction.